The K-12 Playbook is an easy-to-use reference and resource center for K-12 administration, digital curriculum teams, and IT leaders who are working to implement the K-12 Digital Learning Revolution Program—a strategy for achieving a plug-and-play teaching and learning ecosystem. Created by IMS Global K-12 members, these resources are designed to help districts of all sizes shorten the learning curve around the adoption of IMS interoperability standards. The K-12 Playbook is organized to help you easily find the resources you need to ensure successful implementation at any stage in your district's ecosystem revolution. Contact us to get started! Ensuring that your educational technology tools are IMS Global Certified is the best way to establish a plug-and-play ecosystem that allows all of your tools and content to work together. If you are just starting out, you should review some of the resources IMS Global has developed to help you know what to ask for from your vendors and what to include in your RFPs. Procurement Documents and Checklists: Review these resources to help you know what to ask for from your vendors and what to include in your RFPs. Digital Learning Revolution Program Overview Video: Hear directly from IMS Global Learning Consortium members about the benefits of the K-12 Digital Learning Revolution Program. NEW Frequently Asked Questions - Find out more about the Digital Learning Revolution Program and submit your questions today. K-12 Digital Learning Revolution Program: This summary provides details about the Digital Learning Revolution Program in an easy to digest format with specifics on all four parts of the program. Getting Started with IMS Global as a K-12 Institution: These resources will help K-12 Institutions who wish to get started learning more about IMS Global Learning Consortium. IMS Global standards in K-12 (video): Interviews with K-12 members about how standards are impacting teaching and learning in their districts. There Is No ‘I’ in Interoperability: This article provides a brief overview of what interoperability is and why institutions need to implement now. Achieving a Seamless Plug and Play Ecosystem: The School District of Lee County (FL) has focused on changing their procurement practices to achieve student-centered learning. K-12 Revolution Word on the Street: IMS Global's Jill Hobson chats with the EduTechGuys at the FETC 2018 conference about the K-12 Digital Learning Revolution Program and IMS Global. Metropolitan School District of Wayne Township Procurement Resources: Created resources used to ensure all resources work together seamlessly in a plug-and-play ecosystem. K-12 Statement of Intent to Adopt IMS Global Learning Consortium Standards in a Timely Manner: Sample RFP language to use when negotiating with suppliers to ensure the adoption and support of the most current IMS standards. How to Adopt a Learning Management System in K-12: IMS Global will help institutions understand important considerations to think about when purchasing a new LMS to evolve the digital ecosystem. Chicago Public Schools' Declaration of Adopting IMS Global Standards: CPS uses this letter to notify providers of educational resources of the interoperability requirements in the school district. Harford County Public Schools' Letter to Education Resources Providers: HCPS uses this letter to notify providers of education resources of the interoperability requirements in the school district. IMS Global Glossary of Terms: This glossary of terms provides definitions of terms commonly used throughout IMS Global. Digital Learning Revolution Program: Making the Commitment (recorded webinar): In this webinar, Tony Hunter, CIO at Broward County Schools in Florida shares where they’ve implemented open integrated technologies to lower costs and maximize the efficiency of the district's digital learning environment. Learn why making the commitment to open standards was essential to their work. 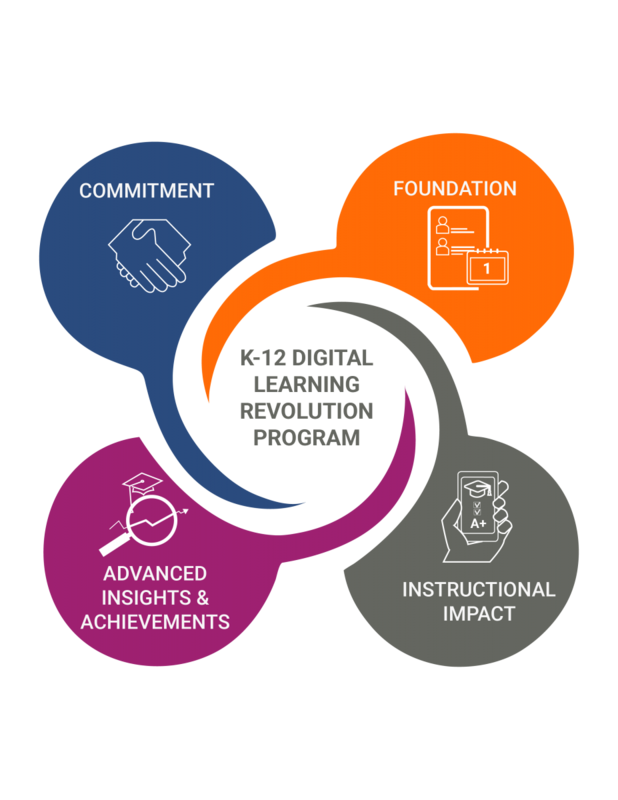 K-12 Digital Learning Revolution Program: This summary provides details about the Digital Learning Revolution Program in an easy to digest format with specifics on all four tiers of the program. OneRoster for Educators (presentation): This presentation is intended to give an introduction to OneRoster 1.1 for those with little or no technical background. LTI for Educators (presentation): This presentation is intended to give an introduction to Learning Tools Interoperability (LTI) for those with little or no technical background. School District of Pickens County Digital Content Strategies, Processes and Systems: The School District of Pickens County has shared the digital content that they have adopted and the processes and systems they use in their digital ecosystem. Fulton County Schools: See how Fulton County Schools is using OneRoster to help the district achieve more personalized learning for students. Gwinnett County Schools: Learn how Gwinnett County Schools’ strategy for a seamless digital ecosystem has been a tremendous success. Katy Independent School District: Katy ISD has established a plug-and-play ecosystem that has revolutionized the district's digital learning environment. Understanding Conformance Certification: This course is designed for IMS Global members (website login required) to learn more about the conformance certification process and how to interpret the results. 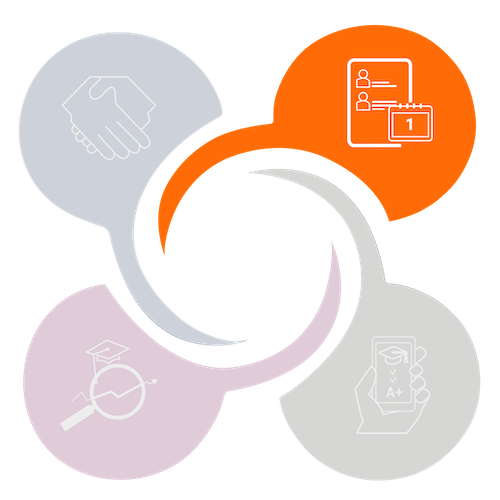 OneRoster FAQ: This guide highlights all aspects of OneRoster, including planning, data governance, implementation and user roles. Digital on Day One: Checklist for OneRoster Implementation: Checklist to assist implementation of OneRoster for the beginning of the school year. GCISD has achieved 95% digital on day using IMS Global standards. Learn how they did it. OneRoster for Educators: Introduction to all aspects of OneRoster 1.1. Pay attention to slides 15 and 16 which focus on the advanced feature of OneRoster: Resources and Gradebook Results services. QTI For Educators: This presentation provides an overview of Question and Test Interoperability and Accessible Portable Item Protocol. LTI Advantage for Educators (presentation): This presentation is intended to give an introduction to LTI Advantage for those with little or no technical background. LTI Advantage is a package of extensions that build on the core LTI standard to add new features that enable deeper integration of any tool with any LMS. 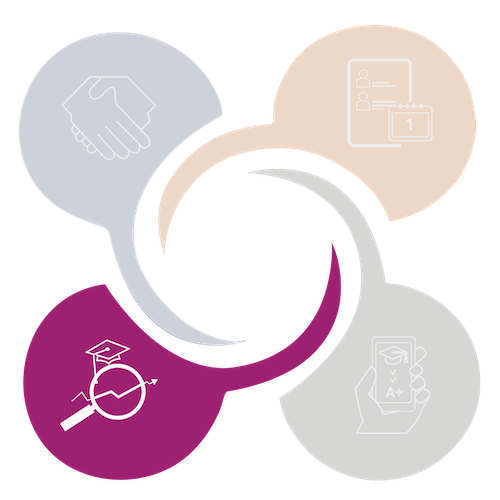 Broward County Schools: Enabling Learning For All—Any Time, Any Place: Broward County Schools has implemented a solution that provides leaders, teachers, and students with a single sign-on experience containing all the role-relevant applications in one place using IMS Global standards. Katy Independent School District: Find out how the Katy Independent School District is creating a plug-and-play ecosystem for teachers and students revolutionizing the district's digital learning environment. Making Digital Content Discoverable (recorded webinar): Open standards offer solutions to bring multitudes of content together in one learning environment. Hear from districts who have already made this transition and learn how to get started. Interoperability Standards Helping to Transform the Digital Curriculum [Houston ISD-HMH]: Houston ISD's approach to integrating content from publishers. Houston Independent School District (HISD) Meta Tagging Protocol: HISD requires content providers to tag resources to keywords and Texas Essential Knowledge and Skills (TEKS) standards. Enhancing Accessibility Through IMS Global Learning Standards: A primer for anyone in the K–12 community interested in connecting accessible learning within their system of educational platforms and applications. Recommended Practices: Planning for, Acquiring and Vetting Thin Common Cartridges: This template can be used by districts to create a roadmap for acquiring and verifying Thin Common Cartridges. A 3-step recipe for personalized learning: This article from eSchool News provides an overview of implementing an individualized and personalized learning program using easy to use digital learning tools. Achieving a Vision for Personalized Learning [Enabling Instructional Impact (recorded webinar): In this recorded webinar, you will hear how leading districts have integrated multiple sources of digital curriculum, learning apps and tools, and assessment products into their learning environments to increase the effectiveness of edtech. These districts provide access to discrete learning objects and assessment items that users can access in the right place at the right time for the right student. Hear how Metropolitan School District of Wayne Township and Gwinnett County Public Schools' vision for technology to permeate the education of learners has helped achieved their vision for personalized learning. Competencies and Academic Standards Exchange for Educators (CASE): Introduction to all aspects of Competencies and Academic Standards Exchange for Educators (CASE). Caliper for Educators (presentation): Introduction to Caliper Analytics for a non-technical audience. Open Badges for Educators (presentation): Introduction to Open Badges version 2 (OBv2) for a non-technical audience. This presentation provides an overview of one of IMS Global's newest standards, Resource Search. In this presentation learn the basic features of the standard and how it can benefit institutions. Closing the Gaps to Improve Student-Centered Learning (recorded webinar): Learning analytics are a key tool in moving to a student-centered approach to learning. Students must be able to analyze their own activity and assessment data if they are to take ownership of their own learning. With the myriad of platforms, applications and content publishers that are being used in education today, aggregating these data can be challenging. Open, interoperable, standards provide a solution to this challenge. Hear from districts that are using a next-generation learning environment to overcome the challenges of data coming from multiple sources. Learn how a plug-and-play ecosystem can reduce the barrier to achieving this goal. Measure What Matters Using CASE as Your Linchpin (recorded webinar): IMS members have developed a pragmatic framework for publishing learning standards and competencies in a digital, machine-readable format that can be readily consumed by any product. This new technical standard is called Competencies and Academic Standards Exchange® (CASE®). Listen and learn from organizations that are adopting CASE and converting their learning standards to the CASE format using open-source tools. NEW Competencies and Academic Standards Exchange (CASE) Field Descriptions: This spreadsheet provides definitions and descriptions of CASE elements and attributes for a non-technical audience. Resource Efficacy with Caliper Analytics: An App Note that describes one approach to computing instructional resource efficacy to help deliver the most effective resources at the right time for learners. Caliper Analytics v1.1 Profiles: Caliper defines a number of metric profiles, each of which models a learning activity or a supporting activity that helps facilitate learning. These profiles will help you understand the ways in which Caliper may be used. This guide provides specific language for requesting products which are IMS Global conformance certified in one of IMS Global's newest standards, Resource Search. 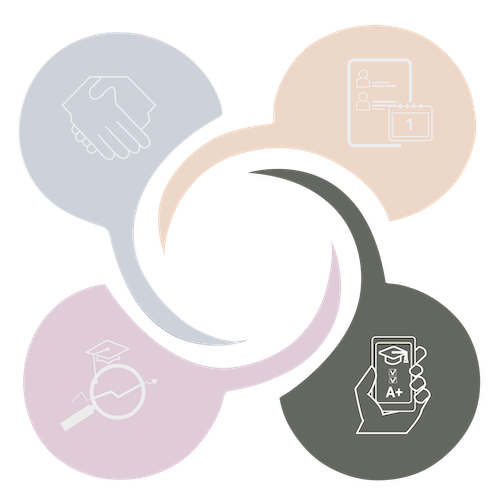 Closing the Skills Gap with Idaho Digital Learning's Digital Badging Program (recorded webinar): Idaho Digital Learning Alliance, working collaboratively with our Division of Career Technical Education, has built a stackable credentialing program for students. Idaho SkillStack badges clearly communicate an individual's skills to the world. For students, they are able to gain skills, earn badges, and then share their badges toward college credit or certifications for a job. Educators are able to track the different demonstrated competencies to ensure students are prepared for their next step—whether that is a career, college, or employment. Finally, employers are able to search for candidates based on the skills needed. 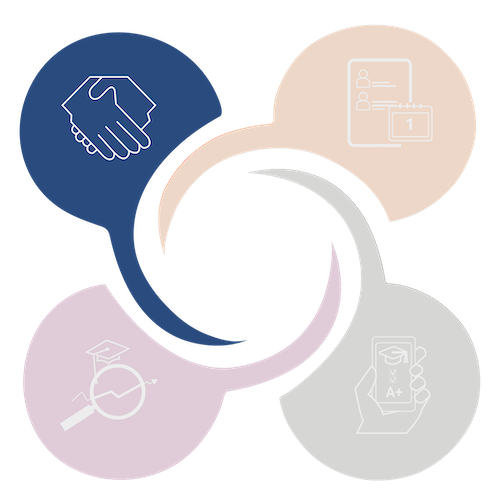 Skillstack assists in making the connections between skills and career. Becoming a Cognitive AI School with IBM Data and Watson Technologies: (recorded webinar) you'll hear how K-12 school systems face all types of pressures, ranging from fiscal challenges to teacher training to measuring student progress to optimizing outcomes. Gwinnett County Schools, the largest school district in Georgia, has been overcoming these challenges with a sustained commitment to change that leverages the latest IBM technology. Beginning in preK with some of the IBM and Sesame partnership initiatives, Gwinnett has developed highly effective data models, teacher training strategies, and personalized learning initiatives that are truly making a difference in school performance and student achievement. IBM's leading-edge research work in conjunction with Gwinnett has led to IBM's revolutionary personalized learning solution called Watson Classroom. Watson classroom takes advantage of IBM's AI and cognitive technologies to help teachers deliver on the promise of unique instructional pathways for students. Join us for this interactive session to gain insights into Gwinnett's journey and learn how IBM Watson can help your district implement transformative change.